Offer kids the exciting and engaging challenge of climbing from one side of the wall to the other. This indoor climbing wall may help develop patience, perseverance and prob- lem-solving skills while boosting confidence. The easy-to- grasp hand holds are shaped as 10 cool critters (dragon-fly, hippo, turtle and others) to make traverse climbing even more kid-friendly and fun. Install on cinderblock or concrete (not on drywall). 6’10”H. Use with adult supervision. 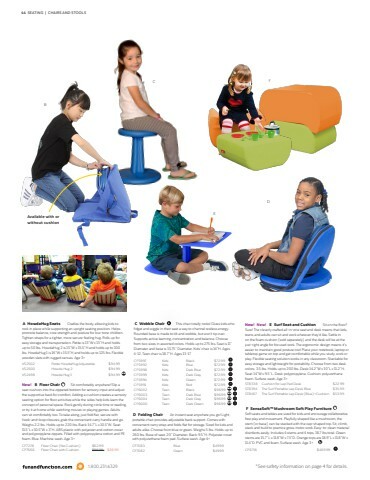 Ages 2-5 Visit FunandFunction.com to see all options.